Each pocket spring is individually wrapped in its own cloth sleeve which enables them to move completely independently. 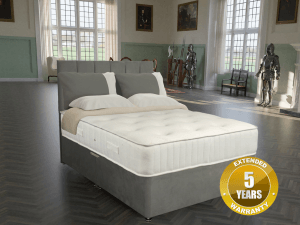 The springs are nested under a sumptuous layer of fillings and shape around the body’s contours to give an unrivalled level of comfort and support. 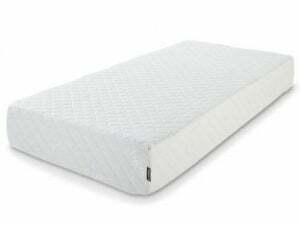 The Ruby is an open coil, orthopaedic, dual sided mattress topped with memory foam on one side. 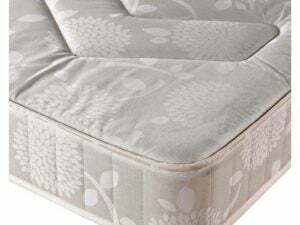 Soft touch knitted fabric is used on the memory foam side and traditionally upholstered fabric is used on the other side. 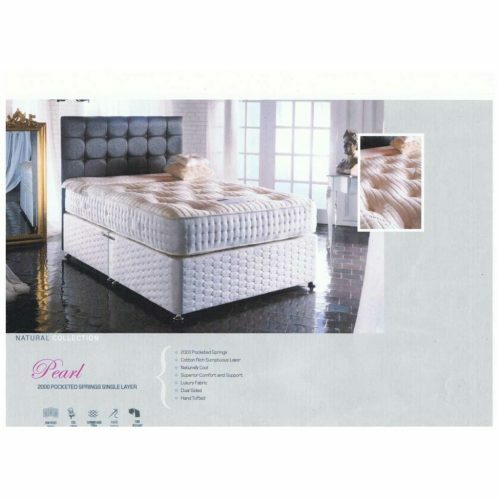 This a turnable mattress with a summer and winter side and has a tufted finish.